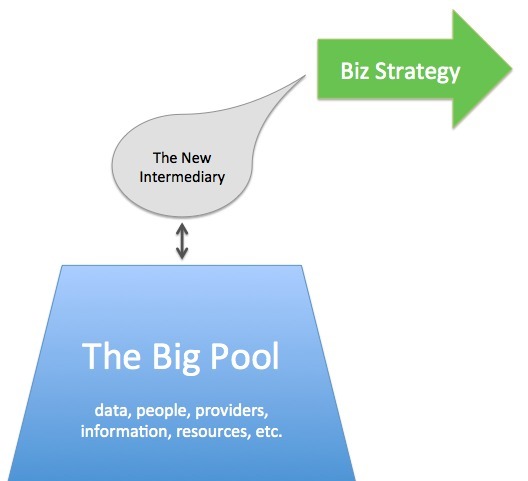 In a second post, we discussed the opportunity of Curation (filtering and delivering information) in the world of new intermediation. Today, let’s look at another manifestation of the new intermediation: Matchmaking. A matchmaker is a key individual, platform, or company that has deep connections with a pool of people/providers, and then brings the right (targeted) resource to a client with a business or personal need. Think of what recruiters (headhunters) do. It’s that kind of intermediation, but scaled in new ways and applied to other business problems beyond staffing. 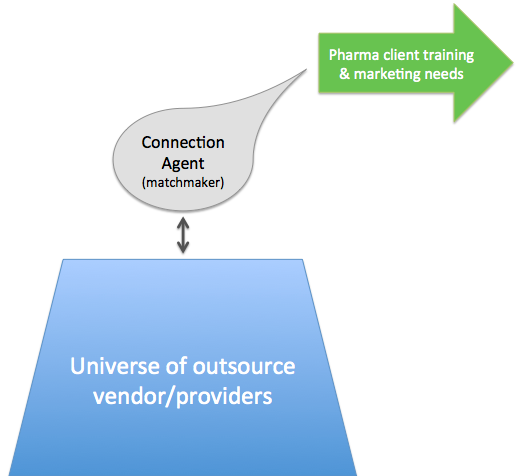 My Impactiviti business (identifying optimal outsource vendors for my pharma clients looking for training/marketing suppliers) is one example of business matchmaking (see graphic here). In Kansas City, my friend George Weyrauch has launched Rock Creative to provide a very similar service for creative types. Another example familiar to many is HARO (Help A Reporter Out), the news/resource matching service launched by Peter Shankman. Reporters have always had a need to find subject matter experts. Many people who could be valuable resources are invisible to media types. 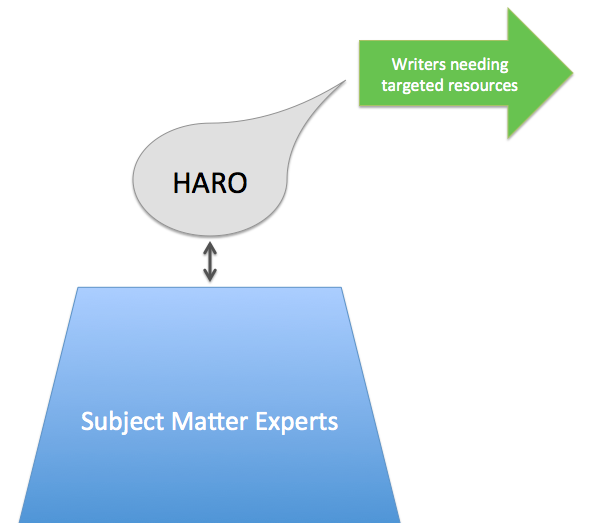 So, HARO was born – a daily e-mail service where journalists looking for sources post what they need, and targeted individuals respond. Simple, brilliant matchmaking. And Peter is smarter than me, because HARO is fed-by-both-sides e-model that was able to be increasingly automated. I’m not jealous. I’m really not. OK, I’m jealous. Many roles, of course, have been disintermediated through technology advancements. But other, digitally-fueled models have arisen. Sometimes, they are ePlatforms, like Match.com and eHarmony (where “matchmaking” is not a metaphor, but is the whole point!) Do you know of other matchmaking business approaches that you’ve seen recently enabled in our networked world? Do share in the comments! Why has digital social media so riveted our attention? It’s an evolutionary advance on a pre-existing massive trend – the desire to communicate without the barriers of time, geography, filtering, culture, and language. Books enabled the communicating of ideas way outside of the physical sphere, and even time frame, of the writer’s direct influence. What once would have been spoken around a campfire or in a small gathering can now echo down through generations. Radio transcended geography. Recorded audio broke the limits of geography and time. Television added the visual element, and some of what was communicated through the eye-gate leapt over cultural and linguistic barriers. Social media broke down the filters between one-to-one communication. Digital audio, video, and writing enable all barriers to come down, though linguistic and cultural elements are still problematic to a degree. Communication can be both real-time and archived. Interestingly enough, when it comes to computing, we see a parallel trend toward natural and frictionless interface – we’ll slowly but surely abandon the very artificial keyboard and mouse for the more natural elements of voice and gesture. Siri and Kinect are glimpses. In 10 years, we will laugh hysterically at our current digital/human interfaces. Digital social media as we have experienced it for the past few years is not some isolated or uniquely amazing thing. 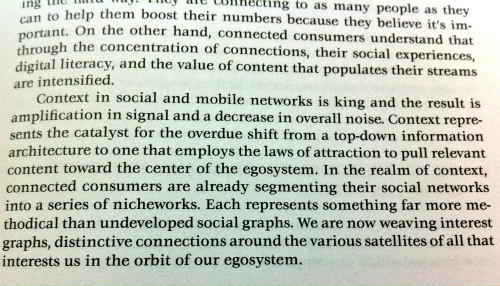 It’s part of an inevitable current of communication evolution. And it cannot be static because the current has been rapidly flowing for centuries in one direction (toward communication without the barriers of time, geography, filtering, culture, and language). We can opt out of participation in specific elements of digitally-fueled communications, but we can’t avoid the direction of the current. 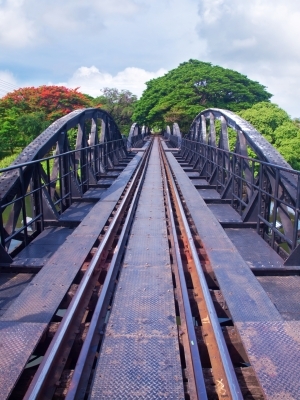 Any business approach based on the above inexorable trends stands a far better chance of long-term success than tweaking some existing business model that tries to maintain the status quo or go upstream against the current. A lot of loose ends here, but I’ll just hit publish and ask what you think (feel free to wax eloquent in the comments with your thoughts). How’s your message? 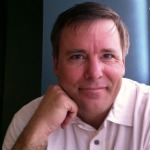 Hire Steve Woodruff for Clarity Therapy! >> Are You Standing Out in the Field? When you start talking about social media in the business world, you quickly begin to bump into the ROI question (and if you do, get the insight you’ll need from Olivier Blanchard and buy his book, Social Media ROI). ROI matters. But for many individuals, consultants, entrepreneurs, small businesses – and yes, even larger businesses – that’s not the only measure of value. There’s another factor to weigh in the balance. Is this activity likely to produce new opportunities? Potential referrals? Broader awareness? Open doors? 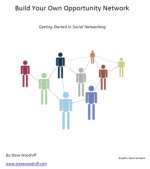 Much of what I – and many others – do via social networking is driven by this long-term view, which is based, not on immediate hard returns of dollars-tied-to-specific-efforts, but by what we might call natural human and marketing principles. Building deeper human bonds with quality people will, in ways both direct and indirect, lead to increased business opportunities. Do you believe this? I do. And I think it’s true for the solopreneur as well as the biggest brand. That means networking – whether the digital/social variety, or good old-fashioned pressing the flesh (note: I believe in both, together). An example from my own experience: #LeadershipChat on Twitter. Very little direct revenue has come to the co-hosts (Lisa Petrilli and me) for all the time and effort we’ve put in. HOWEVER – the expansion of our networks, the quality contacts with some very influential people, the collaborations that have occurred, not only for us, but among others in the community – these are worthwhile returns, and the future opportunities yet to come as a result of this initiative will, I’m quite convinced, impact business on multiple levels. I will trade immediate resources of time and effort for open doors tomorrow and next year. Not only for me, but for others. 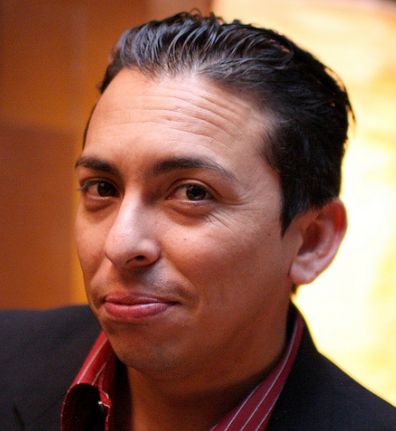 Speaking of LeadershipChat, this coming Tuesday (April 10), we’ll welcome John Jantsch, Mr. Duct Tape Marketing himself, talking about referrals and small-business marketing in a networked world. Join us for some new thinking, new network contacts – and, who knows?, maybe some new open doors! What’s Up With Kony 2012? One of my kids came to me all worked up about the rapidly-going-viral, must-see video Kony 2012 (here’s the link on YouTube. Warning: half-hour length). In short, this video is part of an orchestrated campaign to bring an unsavory African guerrilla leader (Joseph Kony) to justice. He is the one you may have heard about that kidnaps children and turns them into his soldiers. His track record as a scourge on the earth is well-established, but according to Invisible Children (the organization who made the video), he is not nearly well-known enough. The campaign aims to fix that. I almost never watch 30-minute on-line videos, but I did see this one through. It is well-made, with solid production values, a well-constructed story-line, emotional appeal, and a big dose of aspirational involvement – viewers are urged to become part of something big, something ground-level. My guess is that it’s going to work as an attention-generating campaign. So – is there a downside? I’m not sure yet. Who could be against capturing Joseph Kony? Sounds like a noble cause – but the storyline of the video seems just a bit slick, the hype level a bit over the top. My vague unease about the whole thing finds some reinforcement in a few scattered Internet postings about the organization (go ahead and Google it), and with this level of exposure, I’m sure that the goals, and practices, and people behind Invisible Children will be much more intensively vetted in the coming days. There will be fact-checking. I hope that they won’t be found to be (mere) attention-grabbing mercenaries of media promotion. I don’t want to be cynical, but I’ve been around the block a few times. Where there’s fund-raising, there’s always potential danger lurking. And sometimes, when we jump very quickly on a convincing-sounding bandwagon, we later realize that a bit more prudence was advisable. The little blond son (Gavin – see picture above) of the filmmaker makes the production, by the way. Very cute, and very effective. As far as effective media production and promotion – give these guys a high grade. Another high grade for a creative campaign concept. As far as what we’ll see in the full light of day as more information comes out – here’s hoping. And it’s doubtful that anyone will mourn if Joseph Kony is actually captured! Update: The Invisible Children folks respond to a number of the criticisms/questions that have arisen. Update: The campaign is now making news in traditional media outlets, like the NY Times. Update: My friend Amy Fitch touches on one aspect of this phenomenon that has been quite remarkable – how many of us learned of this video from our kids.